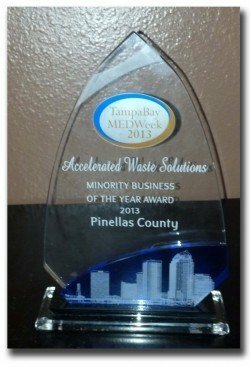 The Accelerated Waste Management Team, would like to say, Thank you. Our Customer’s continued support is the driving force in our Innovation, and we would not be the company we are without you. We look to transform the landscape of niche waste services throughout the U.S. and Internationally. By empowering our customers with advanced convenience, and affordability, AWS will continue to grow its market share in every line of service we offer. 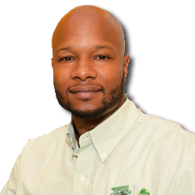 Sherrod Hunter is responsible for Corporate and Franchise Operations for the U.S.A.’s ONLY Junk Removal App, JUNK SHOT!. 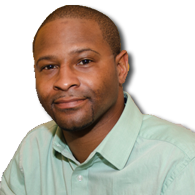 Sherrod has extensive experience in Direct Selling and Customer Service spanning a 12+year career in service-intensive settings. He provides strictly First Class pre and post Sales Support. He brings a proven track record offering unique talents for establishing, building and maintaining strong Business Alliances. As Director Of Operations for AWS, He is responsible for exposing and educating clients on AWS’ GO GREEN Recycling Innovations for the Multi-Family & Commercial Industry. Sherrod is committed to bringing AWS & JunkShotApp.com clients the highest margin of savings and earnings possible, while providing them with Superior Recycling/Waste Services. Fred Tomlin is responsible for National Consumer Marketing, & Territory Expansion for the U.S.A.’s ONLY Junk Removal App, JUNK SHOT!. Fred also specializes in developing and sustaining long-term relationships with B2B clients. He’s responsible for exposing and educating clients on AWS’ GO GREEN Recycling Innovations for the Multi-Family & Commercial Industry. Fred is committed to bringing AWS & JunkShotApp.com clients the highest margin of savings and earnings possible, while providing them with Superior Recycling/Waste Services. AWS commitment to sustainability extends through all phases of our service’s life cycle, from offering the nation’s only DoorStep Recycling Bin to onsite sorting to strategic relationships that handle recoverable materials. Our considerations focus on reducing resource consumption by our diversion process. Effectively keeping our pledge to conserve limited natural resources by reducing the impacts from raw material extraction.Attaining our Vision requires superior and continually improving performance in every area and at every level of the organization. Our performance will be navigated by clear and concise strategic values while putting the best interest of the Customer First. We intend to continue strengthening and fostering the fabric of our business relationships by responsibly and responsively fulfilling our promises.Our ongoing Quest for Distinction is to Honor God within all operational and staff functions. This Quest for Excellence requires hiring, developing and retaining a diverse workforce of the highest caliber. To support this Quest, each function employs metrics to define, and implements processes to achieve, world-class outcomes.